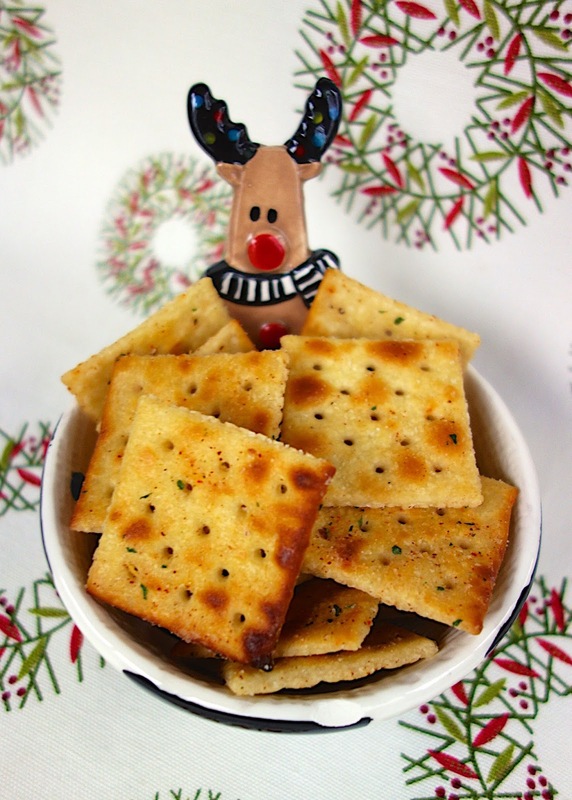 Spicy Ranch Crackers - no bake snack with only 4 ingredients! Great for snacking or in soups! 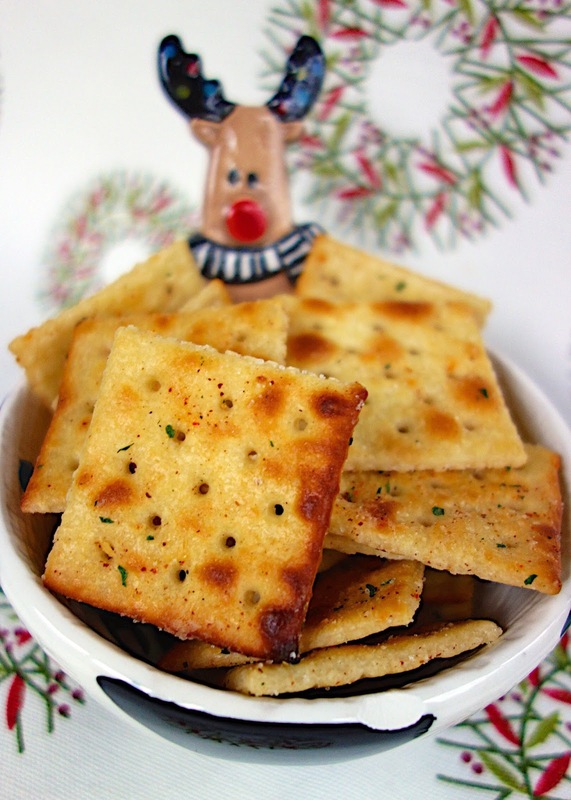 These spicy crackers are SO addictive!!! Can adjust heat to your preference. Store for weeks in a ziplock bag. We LOVE this easy snack recipe! I am always on the lookout for quick snacks for the holidays; especially no-bake treats. This recipe is from my Mom. She made these for Thanksgiving and everyone loved them! They are great on their own, but they are also great crumbled up over soups and salads. We've even served these with pasta dishes instead of garlic bread. I think they would also be good with a cheese ball or any other dips you might serve. I've already made a batch to have at our house for the holidays. I plan on serving these at our upcoming Christmas party! These crackers have a kick from the cayenne pepper. I've made them with 1/2 tablespoon of cayenne and with a whole tablespoon of cayenne. The batch with 1/2 tablespoon of cayenne were very mild. I didn't taste any heat. I kicked up the cayenne on the second batch to a whole tablespoon. We didn't think they were overly spicy, but definitely adjust the amount of cayenne to your personal taste. Combine Ranch, cayenne pepper and oil. Pour over crackers. Toss crackers every 5 minutes for about 20 minutes, until all crackers are coated and there is no more oil mixture at the bottom of the bowl. Store in a ziplock bag. What size box of Saltines? My grocery has several sizes. I used the regular sized 16oz box. I LOVE these things. We've made them with those little oyster crackers as well. So yummy. I haven't tried them on oyster crackers yet - I need to do that next time! Do you do all this in a ziploc bag or a cookie sheet? It looks so yummy. I used a big bowl to mix the crackers up and stored them in ziplock bags. I love quick and easy recipes like this for holiday snacking. My family would definitely go for the spicier version! nope - just toss the crackers around for a few minutes and the oil will get absorbed. would vegetable oil work instead of canola oil? Vegetable oil will be fine. Enjoy! I do this with Cheeze It's. Yummy. Thanks for a new way to use these ingredients. Wouldn't they be better if toasteded in a 350 degree oven for about 20 minutes? I don't think so. They taste great the way the recipe is written. In the picture they look like they’ve been browned in the oven. They haven't been baked. The oil just soaked into the crackers accentuating the brown spots on the crackers.